After successful completion of his residency training, Dr. Brown worked as Assistant Professor where he practiced and taught plastic surgery for four years. During this time, he gained further experience in cosmetic surgery and complex reconstructive surgery. He successfully completed the written and oral board examinations and obtained his board certification from the American Board of Plastic Surgery. 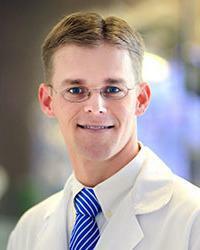 In 2014, he was awarded the Outstanding Teaching Faculty award by the residents. In July 2016, Dr. Brown moved his practice to the West Houston/Katy area where he is now a partner at the Houston Methodist Institute for Reconstructive Surgery. His rigorous training and experience have given him the tools to provide comprehensive reconstructive and cosmetic surgery services. He has a special interest in facial reconstruction after trauma and skin cancer, breast reconstruction, and cosmetic surgery. Dr. Brown strives to provide each patient with a personalized experience and optimal results through technical excellence and compassionate care. When not taking care of his patients, Dr. Brown enjoys spending quality time with his wife and children, traveling, playing golf, and scuba diving.